Wood stoves are an economical and ecological choice for home heating. 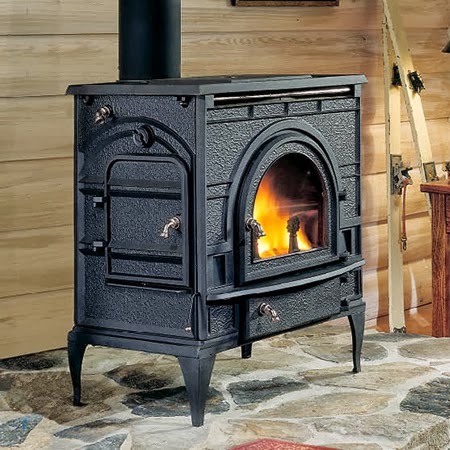 Once you've decided to utilize a wood stove, it's necessary to choose the type of stove that works best for your lifestyle. Catalytic and non-catalytic wood stoves both have their own unique advantages and disadvantages. Continue reading for a summary of each type of stove. Purchasing a catalytic wood burning stove is perfect if you're looking to use the unit as your home's primary source of heat. These stoves are outfitted with a catalytic combustor that's designed to help recycle exhaust gases. Specifically, these combustors work by changing the chemical state of released gases, reducing harmful emissions and allowing them to burn at lower temperatures. When your catalytic wood stove operates at a lower temperature, you'll enjoy longer burn times and significantly lower emissions. You can even allow these stoves to burn through the night, keeping your home warm despite the cool night air. Overall, these wood burning stoves are simple to use and will provide your home with evenly circulated heat. If you allow catalytic stoves to burn at a very low temperature, these units are much more than 10% more efficient than non-catalytic stoves. Keep in mind, though, that there will be some maintenance involved when purchasing a catalytic wood stove. No matter how well you care for these stoves, catalytic combustors need to be replaced after approximately every 12,000 hours of use - most times, that is equivalent to five to ten years. To make sure that your stove is running in top working order, inspect your catalytic combustor annually and clean it regularly - at least every six weeks. It's also important to use clean, well-seasoned fuel in catalytic wood stoves. Otherwise, the moisture in the wood runs the risk of cooling the catalyst and causing your stove to run much less efficiently. 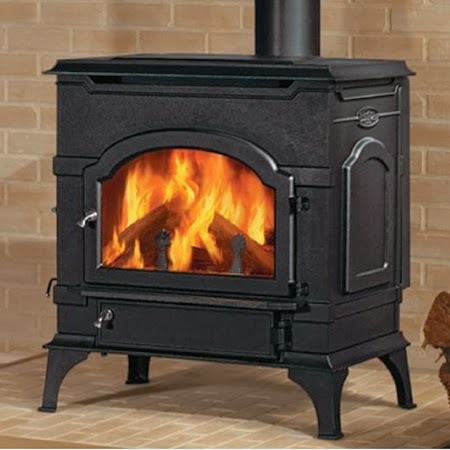 If you're looking for a stove with a great price point, non-catalytic wood stoves tend to be more affordable than catalytic wood stoves. Rather than depending on a catalyst for an efficient burn, these wood stoves utilize an "air injection" process to ignite the smoke and creosote, allowing it to burn up before harmful gases exit the flue and damage the environment. At high burn rates, non-catalytic wood stoves are almost equal in efficiency to catalytic wood stoves; however, the performance of non-catalytic stoves tends to decline with a lower burn rate. Non-catalytic wood stoves are less dependent upon fuel type than their catalytic counterpart, but you should also be mindful that it will run best when you use dry wood to fuel the fire. These stoves are easy to start and operate, as well as simple to maintain. With a non-catalytic wood stove, you won't have to worry about taking it apart and cleaning any of its internal components. Unfortunately, these stoves do not hold a full fire for as long as a catalytic wood stove is able to. Fires tend to last between six and eight hours, making these units ideal for those people who have decreased heating demands. Ultimately, the choice between a catalytic or non-catalytic wood stove remains contingent upon the functionality that you desire. Most simply stated, catalytic wood burning stoves tend to have a longer burn time, allowing you to use them as a primary heat source for your home, and produce less of an impact on the environment. If you're still having trouble making a decision or have further questions, please don't hesitate to call a member of our NFI-certified technical sales team at 800.919.1904 for more information.